We met with Snow Valley & they will not have their trails ready for the scheduled first race. They are not sure what trails will be available until later in the spring once they start building again. At this time, we have decided to postpone the Enduro events. It’s a numbers game…..we appreciate all the support last year & hope we can hold some this summer. Will update here & our Facebook page if there is any change. 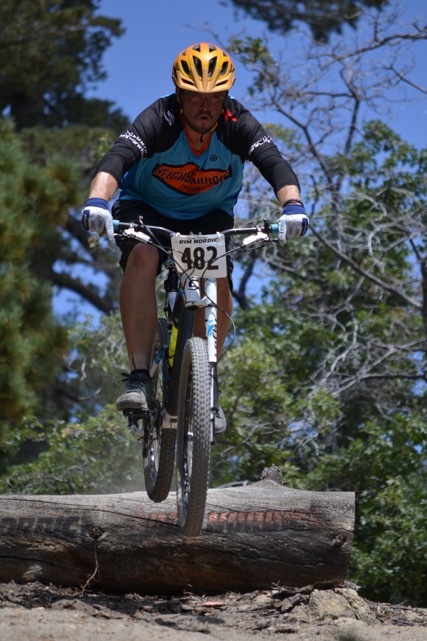 2018 info: Come join us for some fun, downhill-oriented Enduro racing at Rim Nordic & Snow Valley Mtn. Resort (directly across the street from us). There will be some climbing to access 2 of the stages at Rim Nordic, OR self-shuttling will be allowed to Lakeview Point on Hwy 18. Snow Valley has a brand new 6-pack chair lift and bike carriers can carry 4 bikes at a time. We will race 2 stages on their new mtn bike park trails. An Enduro bike, all mountain bike or a full suspension cross country bike are good for this race. NO e-bikes for this event; downhill bike not necessary nor full face helmets but wear if you have one! Each racer is responsible to get to the next stage start. Maps will be available on race day, if needed. NO pre-riding on race day! Race day registration will be accepted with a late fee. Practice day for REGISTERED racers for Rim Nordic will be Saturday, Sept 8th from 9am-4pm. Snow Valley will be open for daily riding. You will need to pay for a bike park chair lift ticket to ride the trails. …..Cost is 50% of regular bike park pass. Possible other specials & deals will be happening prior to the race that you can take advantage to pre-ride Blue Line & Lightning before race day, i.e. Friday nights starting Aug. 10th…ride Snow Valley from 12 noon – 7pm…. (twilight 4-7pm chair lift ticket for $10). Follow their Facebook page for details. FREE camping on Sat. night (Sept 8th) at Rim Nordic only for registered racers. Pls. advise us if you are camping! • Best pricing options are online $75 Adults, Juniors (17 & under $50)…..race day registration accepted with a $10 late fee for all. • Registration/Check In: 8-9:15 am, racer meeting 9:30 am at registration area. Race START 10am at top of Stage 1…NO pre-riding on race day. • Signed release/waiver required. Available online or onsite. Racers under 18 must have a parent or legal guardian sign. Race entry Fee includes trail pass at Rim Nordic & chair lift ticket for Snow Valley on Race Day ONLY! Our unique, custom medals will be awarded to each category 3 deep, or 5 deep for any with 10 or more racers. We will NOT be combining classes on race day.